Canadian snipers fire a McMillan TAC-50 Special Application Service Rifle. Exercise DAWN BLITZ 2013. 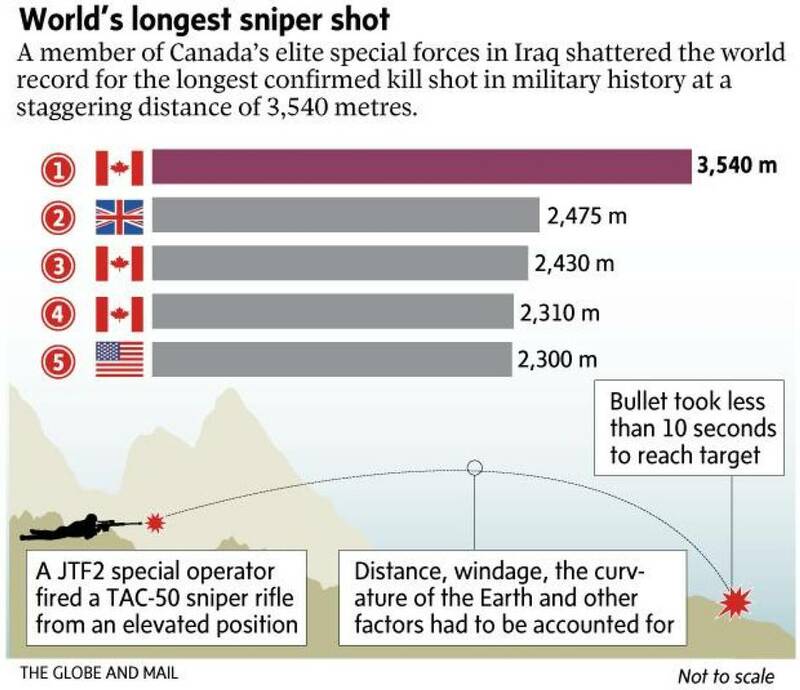 The Canadian Armed Forces confirmed that a member of Joint Task Force 2 made the record-breaking shot, killing an Islamic State insurgent during an operation in Iraq within the last month. The kill was independently verified by video camera and other data.